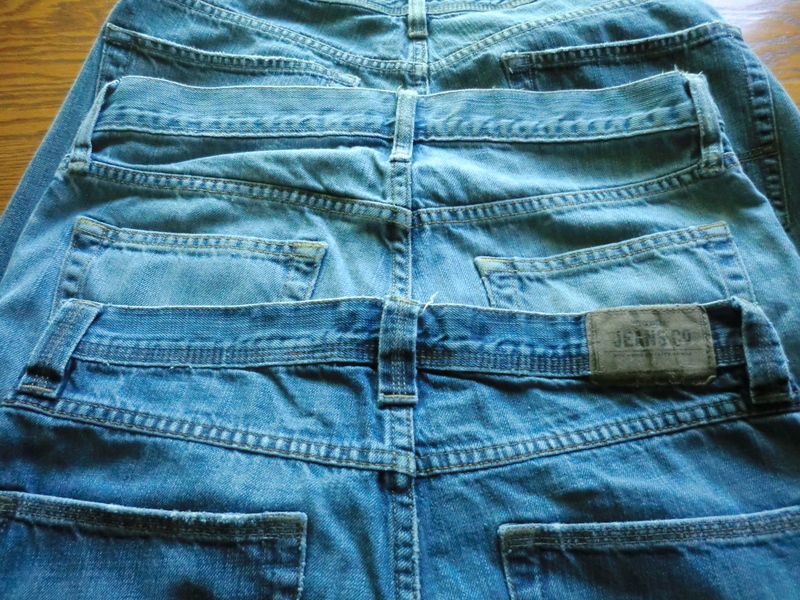 Last week my son gave me a stack of jeans to donate to Good Will. We bought the jeans 3 years ago. (He has a high metabolism and has not changed sizes.) He no longer cares for the style and replaced them. 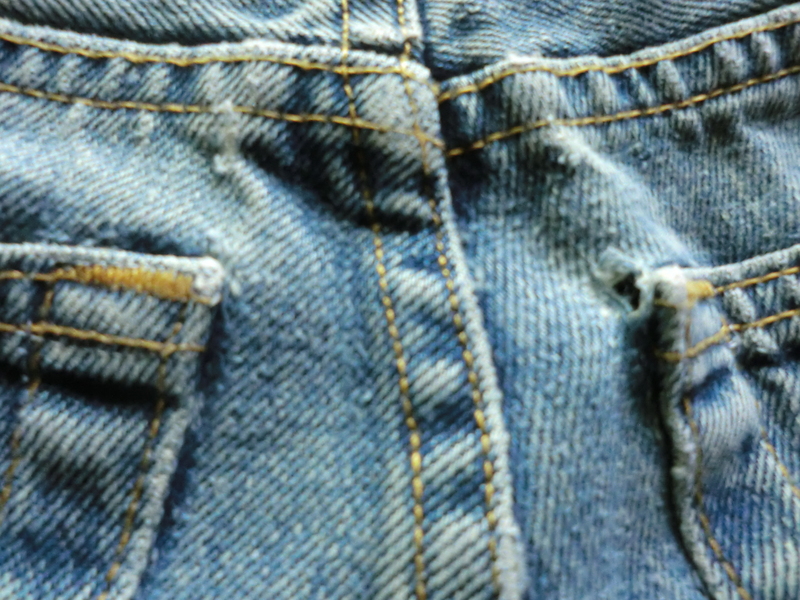 Two pairs looked like new, one pair frayed around the legs, and one pair had a torn pocket. 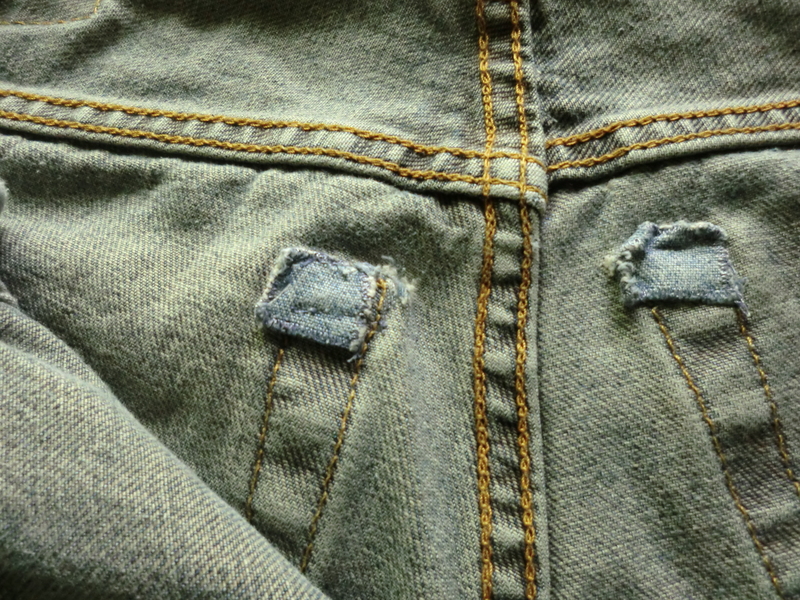 When I purchased the jeans, I cut out pieces of denim and sewed them on the inside to reinforce the pocket corners. 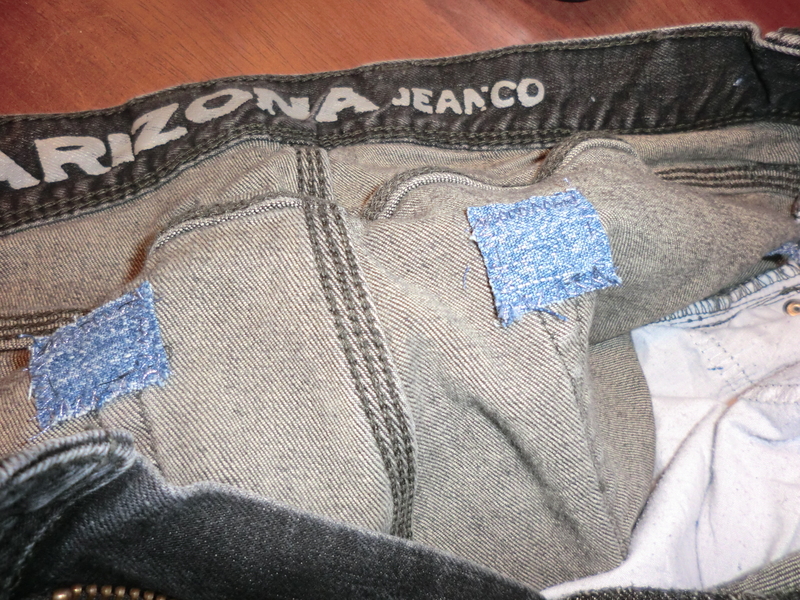 On the last pair, my “reinforcement” was not sewn over the pocket stitching like I did on the others. 3. 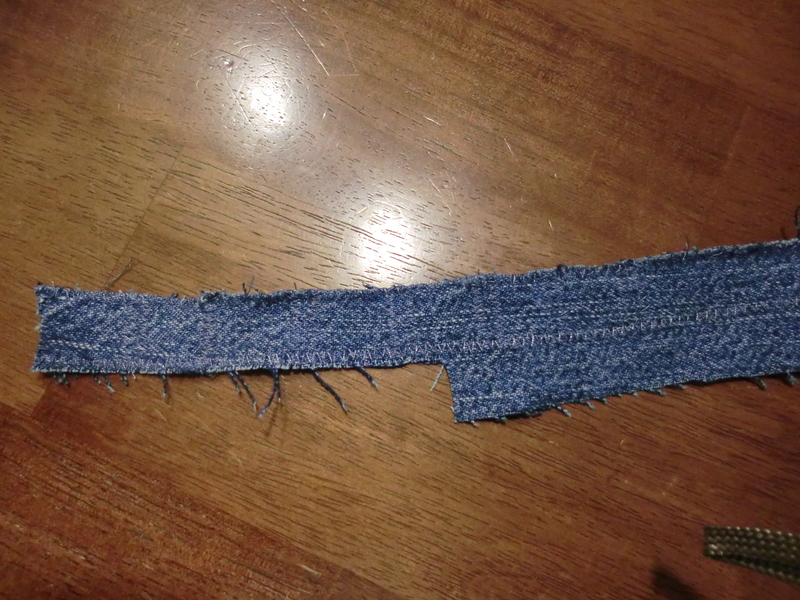 Baste patch to the inside of the jeans over the pocket corners. 4. 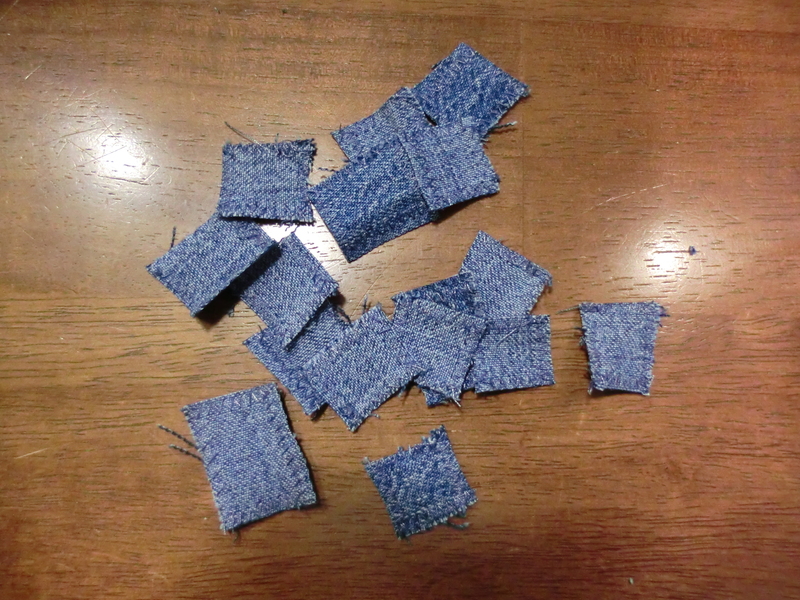 Sew along the pocket stitching to attach them. 5. Take out basting stitches. 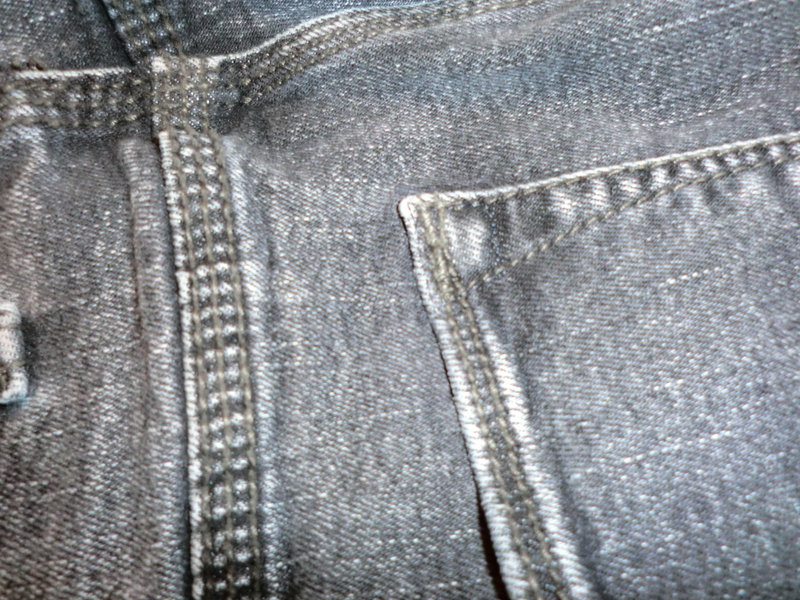 If you use a belt loop to pull the jeans up when you are dressing, it is a good idea to add reinforcement there, also. ©2009-2012 frugalfish.org. All Rights Reserved. 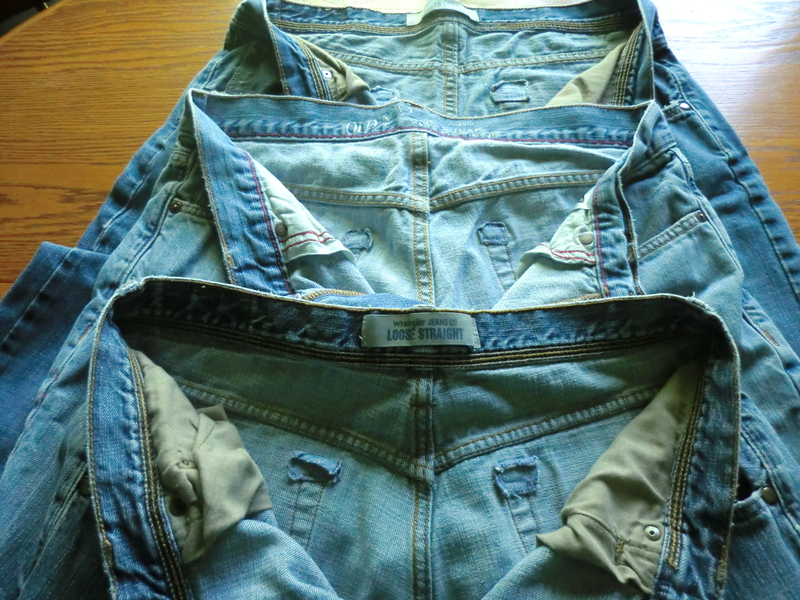 This entry was posted in Clothes, Maintain It, Money Saving Ideas and tagged Clothes, Maintain It, Money Saving Ideas by Frugal Fish. Bookmark the permalink.